We apologise for the lateness of this month’s newsletter. Grazers are really struggling and there are large areas of Kruger Park that simply have NO grass! I expect serious mortality amongst animals such as hippo, buffalo, white rhino and to a lesser extent zebra, waterbuck and wildebeest. Animals are moving large distances in search of grazing and our guides have their work cut out. 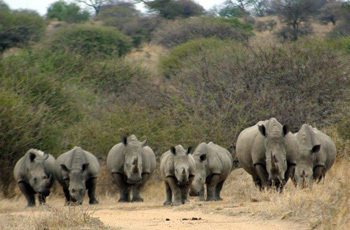 Fortunately Viva Safaris has access to a number of game reserves including Balule, Kruger, Tshukudu and Kapama. As a result, our guests have an excellent chance of seeing the Big Five at one of the various venues. The drought has had other effects: certain animals that are usually fairly shy are now showing themselves. 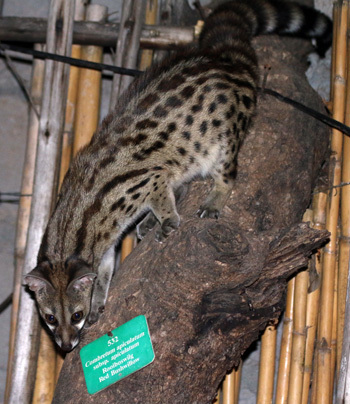 One such creature is a small-spotted genet that arrives every night at Tremisana Boma. It has become a tourist favourite and is probably the most photographed genet in Kruger ! We are getting some unusual photos such as the one below of White Rhino and Lion really close to each other at a waterhole. It is very dry and some places have no grass at all. I believe we will lose many animals because of the drought. The dams have water but not enough to take us into another rainy season. In Kruger, the game viewing is excellent around Tshokwane and Satara. North of Satara it is very dry and dusty, with few animals. The weather was perfect for walking because it was cloudy and fairly cold. We saw a variety of animals like Hippos, Elephants and many Buffaloes feeding along the river. On the other side of the river giraffes were browsing parallel with the river. This time of the year it is common to see hippos outside the water sleeping and enjoying the sun. On our way back to the vehicle we found two Buffalo bulls feeding in front of our Landcruiser. It was very scary but my guests were relaxed. It was a cold and rainy day but it was excellent for game viewing. Our very first sighting was of a leopard eating an impala. Two jackals were running around hoping to get some scraps. As soon as the leopard moved away from the carcass, the jackals started helping themselves. But not for long – the leopard returned and took over again. It then took the carcass into a tree to keep it safe from the jackals. 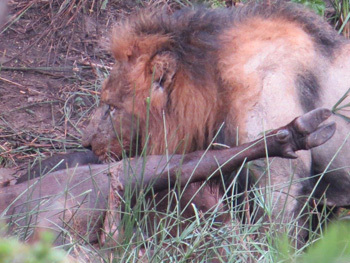 Along S100, five km from Satara we spotted three male lions eating a buffalo. It was cool to watch them from such a close distance. There was lots of meat – it looked like they had just killed it. A successful Big Five ticked day ! During this Bush walk we spotted a few hippos outside the water basking in the sun. There were lots of elephants feeding and playing in the water. Some of the younger elephants were chasing after the hippos and causing lots of problems for them. Crocodiles were enjoying the sun and watching the elephants moving up and down. 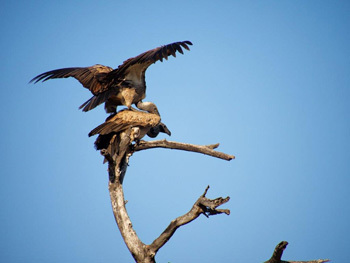 Our best sighting during the Bush walk was of two vultures mating for about two minutes – it was extremely rare and interesting for everyone. On our way back to the lodge we found two lionesses sleeping on the road and looking at a kudu in the distance. Due to very low rainfall the animals were widely distributed this month. We started our walk down by the river and I was very happy to find the hippos are still nice and fat and just waiting for us to come back and have a look at them. During one of the walks Rex and I came across a very old dagga boy (male buffalo) waiting for us around the corner keeping us on our toes all the time – always making it a very fun and unexpected walk not just for us but for our guests too. Winter is upon us making afternoon drives much nicer.and also making it nicer for the animals to walk around and enjoy. During the afternoon drives we usually get some good elephant sightings. On a sundowner drive which started very quietly, I found a leopard. Unfortunately leopards are not very keen on their photos being taken so it ran off just a few seconds after we spotted it. On that same drive we were very lucky getting a huge breeding herd of elephants walking right next our vehicle some even stopping for us to see them very, very closely. While not blessed with a lot of sightings we did get lucky a few times this month with leopard sightings on the way to the Boma. But most of the action happens at Marula Boma during our Bush Braai. We are often surrounded by hyenas, elephant and buffalo and every night we get to hear the lions calling while we are having our dinner. The guests have to be interrupted while talking at dinner but they do appreciate hearing lions and hyenas and for many, it is their first night in Africa so we guides listen out for these magical sounds. I understand that the GM is starting a new sleepout safari program – if I ask really nicely, I hope he will let me join sometimes as it will be a fantastic experience to sleep out for 3 consecutive nights ! Meanwhile back at the lodge we have a new visitor coming to the dinner area every night!!! A beautiful Genet trying to steal some left over food!! It has been a quieter month with animals but I still had some really good sightings. Unfortunately the very dry conditions are forcing the animals to move great distances in search of better grazing. You can feel that winter is here when you go out on the morning drives but the welcome sight of the stunning winter sunrises makes it worthwhile. Sightings have been of giraffe and other plains game but the one morning was great because I saw a honey badger walking along the road in typical honey badger fashion, as if he owned the road. This was the first honey badger I’ve ever seen in the wild. The afternoon drives this month have been good with regular elephant and giraffe sightings. Managed to get 6 elephant sightings and 2 lion sightings of which one was really great because the pride were just relaxing right next to the road. Had quieter Bushwalks this month compared to last month but still enjoyable. There was numerous sightings of elephants while on the drives back from bushwalk. During the walks we had elephants on some occasions and the one day buffaloes everywhere. I did 2 walks along the river and saw the hippos in a pool of water in front of us on both occasions. It was a bit quieter this month at the boma. There was a porcupine most nights as well as a hyena. A good waking up yawn! On all Bushwalks this month, we have seen hippo and crocodile in the Olifants River. On Sunset Drives we have had regular sightings of elephants and buffaloes. On Sundowner Drives we have had sightings of our pride of 10 lions. On one Sunset Drive I got two leopards – 1 male leopard along Olifants Road Rome I mobile west along Olifants Road. On the way back from Marula Boma we also got a female leopard sleeping alongside of Olifants Road on Impalabos east. On another Sunset Drive 1 big male leopard Olifants and Pondoro and herd of Elephants impalabos east. On another Sunset Drive we saw 2 new male lions at Kambaku Dam and a herd of elephants Olifants Road Impalabos east. And 1 hyena at the boma. More elephants on the way back on Olifants road near Pondoro. On a Morning Drive 3 bull elephants on Ezulwini and 2 black Rhino, mother and calf on Ezulwini. The winter season has already touched us – as a result we provide blankets every morning on our Kruger trips. The sightings are more consistent south of Satara. We are spending high quality time around Kumana dam and the S125 where we are guaranteed good sightings. Kumana dam and Mazithi dam have got water and there is grazing. A pride of 17 lions are active there almost every day killing so many Buffaloes. On the S125 there are so many lions that we were surprised to find a young female leopard next to the road sitting with an impala. The impala was dead with the inner parts having been removed – we enjoyed this beautiful sighting as it was very close to the road. Near Satara, where we normally have our lunch break, we drive the S100 which is along the only river with natural water in this area. A buffalo was killed near the road in the riverbed. Many hippopotamus are still getting killed and some have died due to weakness – no water or food for them and territorial conflicts arise often because they are forced to share the small amount of water which is available and with big males it’s a challenge and then they kill each other. On the H7, I managed to get some cheetahs with cubs. We are also seeing the Wild Dogs at Orpen. Sightings in the Kruger National Park are better south of the central region, around Satara and on the S100 road. This is due to the drought. Amazingly enough, a hippopotamus was seen on the S100 sleeping alongside the road 3m away. A mating pair of lions killed a buffalo on the river bank. Lioness and cubs are seen regularly under the Nwanetsi River bridge. 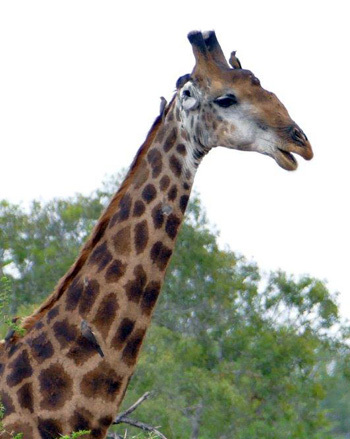 The Sweni river road is the most popular as one can see giraffes, gnu, zebras, herd of buffaloes, waterbucks and steenboks. Big rhino male spends hours and hours under a Knobthorn tree 100m away from the road leading to Skukuza. Girivana and Nsemani waterholes retain water and are thus attracting lots of animals. Morning walks are very popular with the guests as the chances of seeing crocodiles and hippopotamus are exceptionally good. Morning walks along the Spruit north west of Rome 1 are good when one has guests that are interested in bird watching. We regularly see Woodland Kingfisher, Lilac breasted roller and Magpie shrikes. On Balule a pride of lions was seen near Nonwane crossing the road right in front of the new open safari vehicle. Thanks to the GM for this new vehicle – we have kept the roof above the driver and when it rains, I am dry !!! Guests were very happy and realised just how lucky they were as it was during the drizzling weather condition of the morning. The Buffalo herd that tends to come and spend the night next to Tremisana lodge makes for an exciting end to the day for our guests. So this month has been quite exciting as always as there are many awesome things to see here in the African bush. So this month in Balule, I was fortunate enough to see 2 new young male lions here in our local lions’ territory. We spent a nice 15 minutes with them on a sunset drive watching them walking right in front of our Landcruiser and then they sat next to the road and started marking territory which is a challenge to the existing territorial male. On many of the Kruger drives we also managed to get several different lion sightings, most of the time they were sleeping and lazing around but that’s because that’s just the way they are… Lazy! We managed to find some mating lions on a couple of occasions and also lions feeding on kills they had made which was really exciting to get some action out of them. Today’s (28 May) lions in Kruger were quite awesome as we were alone with only 1 other car to share with them for quite a while. All 11 lionesses with cubs were lying down not even 5 metres from the vehicle resting in the shade grooming and cleaning each other after a good meal the previous night. And of course to make it all the more exciting we were waiting in anticipation for something to happen as there were 4 giraffes watching the lions out in the open just staring. Unfortunately nothing happened but it was awesome to have both species in one picture. Things have been very quiet for me with the leopards lately although a few sightings were good enough. On one of the sightings – it was as we were entering the Kruger – a big male leopard had killed an impala and had hung it classically in the fork of a Marula tree. This is one of the rarest sightings yet as most of the leopards I’ve seen were on the ground. The rhinos in Kruger have been pretty awesome. I have now found one of the dirt roads to be a common spot for a group of 6 white rhinos to meet up every afternoon after 3pm which is cool as there are many times that rhinos are all that we need to complete the Big Five. White rhinos are quite scarce in the Balule Game Reserve – however the Black rhinos seem to be more numerous here despite there being fewer black rhinos compared to white in SA. Today (30 May) in Kruger again we were missing that elusive rhino but to our amazement right at the end of our drive we were fortunate enough to find a beautiful spotted hyena next to the road and after that a nice male white rhino out in the open wanting to cross the road. Lately we have been also very fortunate with awesome hippo sightings, there just seems to be this one pod of hippos that seems to like spending more time basking in the sun rather than bathing in the water. This is quite rare as hippos have very sensitive skin. We see these hippos quite often to the enjoyment of our guests. On one of the times viewing the hippos we noticed something strange – an old territorial male hippo had just drowned and killed a baby hippo which is quite rare to see. It does happen from time to time as hippo bulls are extremely territorial and if a young bull comes too close, he could attack. Soon after the baby hippo had died, 2 nice big crocs started feeding on it which was quite cool to see. We also had many other awesome sightings of elephants, buffalos, giraffes and plenty other general plains game. These are just a small window on the amazing reality of living within the African Bush. 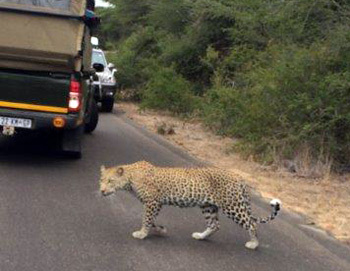 On the second day of the month, it was hot but good for sighting a leopard before Orpen reception. And white rhino crossing the road.Buffaloes at the Orpen water pan drinking; elephants before Rabelais; lions at Nwanetsi bridge with the cubs; Sweni windmill elephants drinking. Big Five before lunch ! 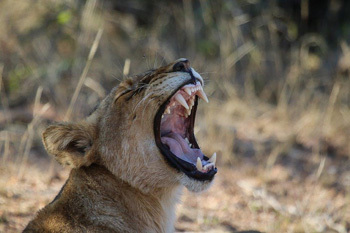 On the 7th of May lions before Bobejaankrans lying down – no action; Rabelais 13 Wild Dogs next to the road under the bushes; Timbavati riverbed white rhino grazing; elephants drinking at the Rockvale windmill and more general game e.g. zebra’s, giraffes, kudus etc.. Buffaloes at Sweni, Welverdiend waterholes; Sweni Windmill elephants drinking and buffaloes. On the 13th May along the S100 about 2.4km from the tar road 2 lioness walking on the road to the riverbed. The mother of the cubs trying to hunt waterbuck. Hippo’s at the waterhole S100 lying outside the water. At Kumana dam 4 male lions lying down next to the dam, here come the elephants with the babies, babies run to the lions the mothers chase the lions and make plenty noise too, the lions run away. On the 21st leopard up a Marula tree before reception, about 3.4km from the first gate. Elephants at the Orpen waterhole, 2 white rhino’s, Lions at Timbavati riverbed, leopard at S40 road hanging the impala carcass on the tree but the leopard under the tree. Buffaloes drinking at Kumana dam. On the 25th Elephants at Rockvale , buffaloes Mudzanzeni picnic spot, more buffaloes at Ximangwanini dam S36. More general game S125 road, Kumani dam 13 lions lying down, white rhino before Sweni bridge, buffaloes drinking Sweni waterhole and more general game on Orpen road. On the 27th lions at S100 , white rhino Sweni Bridge, lots of elephants Sweni waterhole drinking. Buffaloes Mudzandzeni picnic area 2 cheetahs along Orpen Road 3km after S12 road towards Orpen side eating impala carcass, more elephants Timbavati riverbed. On the 29th quiet morning but after lunch we start to see things. 1 buffalo before lunch, lions with the cubs at Nwanetsi bridge, elephants at Sweni drinking. Welverdiend 13 lions lying down, elephants at Ximangwanini dam S36, buffaloes Orpen waterhole. White rhino before the last gate. It was another good month with very hot days but also with really cold days. The mornings and evenings are getting chilly. You can feel we are going into winter. Totally unexpectedly, we had rain on the 26th May. It started raining around 3pm and continued for the rest of the day. It was very good for the bush! This month we had the usual visitors at the waterhole: vervet monkeys, baboons, warthogs every day. The piglets are not small anymore, they are getting big! They are all doing very well. During the nights we get visits from porcupine, civet, jackal, genets, hyena’s, lions and elephants. And this month we had a visit from 2 Honey Badgers during the night. Marc’s camp has had a good month, albeit a bit chilly in the evenings. The campfire is really proving its worth as guests warm themselves up before and after their evening meal. Our monkeys are being cheekier than ever at breakfast. This is due to our poor rainfall and terribly dry bush conditions. All animals really have to search for their food, including our monkeys. Marc’s camp welcomes Zanelle, our new lady guide. We wish you a long tenure with us. The morning bushwalks have been great with Victor being able to show his clients the Buffalo up close on many occasions. Katekani is slowly rising like a Phoenix from the ashes. Gardens are starting to appear and we are really fortunate in that we have been able to sink a very successful borehole. All our clients have been happy to have the Wildebeest strolling past whilst having breakfast. We were also honoured to have the Ecuadorian Ambassador to Korea staying with us accompanied by his daughter. Their bonding was great to see as she only sees her father twice a year. We also have a Genet visiting at night. He is still a bit shy and it is difficult to capture him on film. Conditions are still very arid, but nightfall brings fairly cool conditions. Our clients are grateful for the hot water bottles in their beds. May 2016 was yet another new record month in terms of number of guests. It seems that we have reached a very good balance between bookings from travel agents and bookings made online. Thanks to all concerned. I sent out a letter to all our supportive travel agents indicating that under no circumstances will we tolerate any discounting of Viva’s advertised rates. We thank our loyal and honest rank-and-file travel partners who, like Viva, adhere to ethical practices. I enjoyed my stay in Tremisana lodge so much: great staff, great safaris, everything very relaxed. It was the 5 days package, but it is a 4 days /nights stay because the way from Johannesburg and back to the city is quite long with mini-bus. The rooms in the lodge are simple, but quite nice and clean. The people working there are very relaxed and helpful, friendly and guest-orientated. All of them cared so much. We had great time together! Food was not a highlight, but good. The safaris were great. All guides (I highly recommend Bongani who is there fix and Andrew who is there for a short time) were passionate and competent. They showed us so many great places and I saw many animals so close. Siamo stati al Tremisana dal 25 marzo per 6 notti ed è stata una splendida esperienza. I lodge sono semplici ma puliti e confortevoli. Colazione e cena sono buone senza pretese ma non siamo certo venuti qui per trovare le stelle Michelin!! We stayed at Tremisana from March 25 for 6 nights and it was an awesome experience. The lodges are simple but clean and comfortable. Breakfast and dinner are good unpretentious but we are certainly not come here to find Michelin stars !! Excellent service for the game and driver for visiting the Kruger. Highly recommended !! Es único, una experiencia inolvidable y más al alojarse en las cabañas y habitaciones de los alojamientos que organiza de Viva Safari. el personal es muy amable, la comida auténtica, buenísima y totalmente diferente al resto de hoteles que hemos estado en otros lugares. El estar en medio de la sabana, oír ronronear a leones, desayunar con monos alrededor, lleno de naturaleza, en cabañas separadas unas de otras y muy cómodas, es una maravilla! Hay un ambiente muy familiar entre todos los huéspedes, ha sido de los mejores viajes de nuestra vida, y en parte, por el alojamiento tan auténtico y familiar. It is unique and unforgettable experience while staying in the cabins and rooms accommodation organized by Viva Safari. 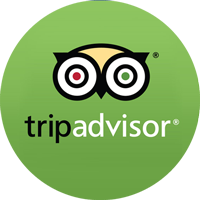 the staff is very friendly, genuine, lovely and totally different from other hotels we have been to other places food. Being in the middle of the savannah, lions purr hear, breakfast with monkeys around, full of nature, in cabins separated from each other and very comfortable, it is wonderful! There is a family atmosphere among the guests; it was of the best trips of our lives, and in part by the so authentic and family accommodation. We booked a 6 Day safari with viva safaris and stayed in Katekani tented lodge. it was superb and would recommend everybody to book this safari. Katekani tented lodge is a very luxurious camp with only 4 superb tents. Each tent is provided with a private splash Pool on the deck. Inside the tents you feel like in a palace. Bath, shower, outdoor shower, canopy bed… everything is provided. You can eat from the floor, no bugs, perfect! Our hosts Allan and Elena did their utmost best to make our stay unforgettable. The other staff members Gertrude and Victor follow that example and make you feel at home from the first moment. The safari program is busy but we appreciated it a lot. All visits and Day trips are organised very well. We visited some private game reserves near Kruger, rehabilitation’ centre Moholoholo, 2 full days in Kruger NP… guides and drivers are all very friendly and try their best to give you unforgettable moments. if you are looking for an unforgettable safari experience, don’t hesitate, viva safaris is your company and try to stay in Katekani tented lodge, you won’t regret!